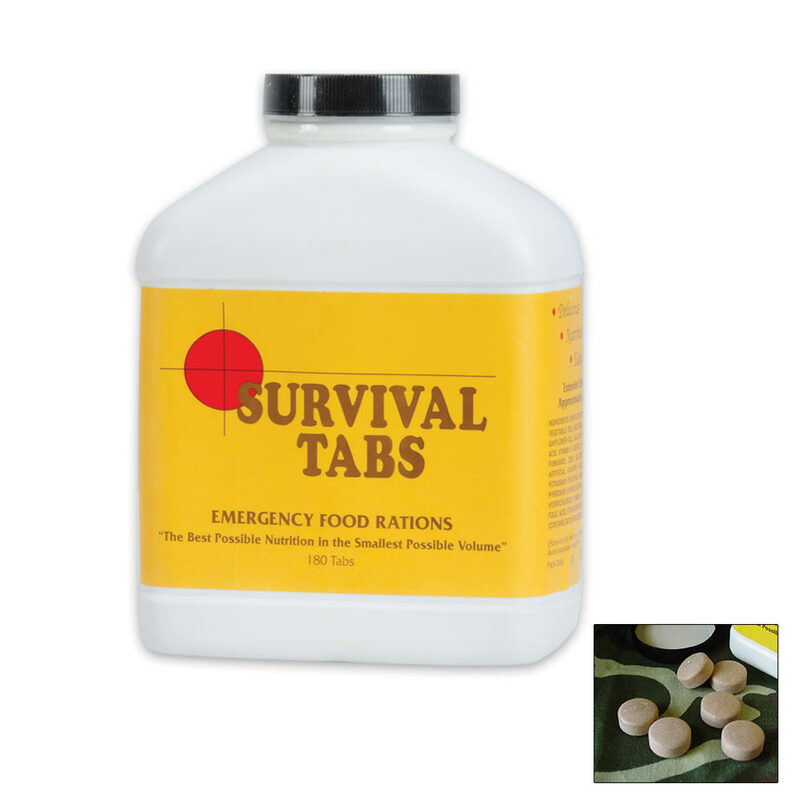 Survival Tabs Vanilla | BUDK.com - Knives & Swords At The Lowest Prices! 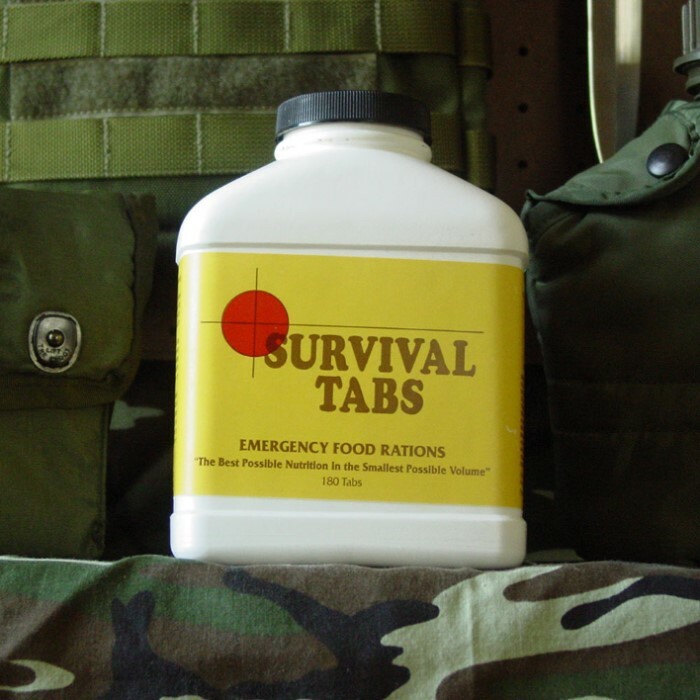 Survival tabs are a compact, lightweight, life saving food ration for any emergency. Ultra High calorie food tablets provide all essential vitamins and minerals, protein for strength, fat for endurance, dextrose and lactose for fast energy. Used these recently to train myself, and was pretty impressed. They don't match the picture shown above, but are instead shaped more like a pill, though they may have changed their look since I bought them. 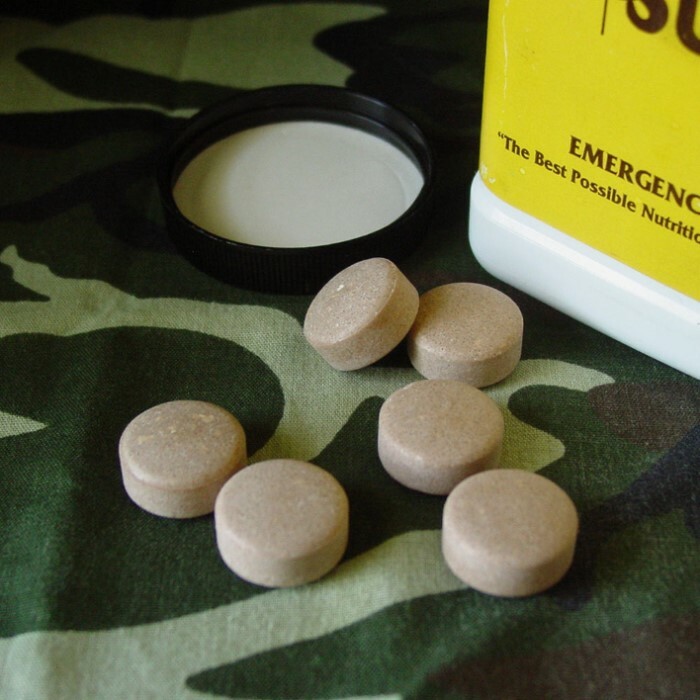 Along with the tablets, you'll also find a plastic bag inside that you can use to hold the pills while using the bottle as a canteen. The flavor is pretty good, but the tablets get sticky almost immediately after you touch them, which makes me worry about them in a travelling situation where you would need to bag them and put them into your pocket. Regardless, they do seem to fill you up despite their size when taken with water (I'm a large man and can put away a lot of food, just for referrence), which shows that they do serve their purpose well, though after a week you will need to find some kind of food to supplement it or start eating more of them. I suggest that anyone who buys survival food or tablets buys their first ones with the intent of using them long before they expire. If you don't know how they work or how your body will react to the drastic shift in diet, they won't do you any good.